We’re delighted to announce our second line-up of talented performers and speakers who will be sharing their bold ideas at TEDxSydney 2017 on 16 June at ICC Sydney. TEDxSydney 2017 will once again feature high profile personalities taking the stage alongside ordinary people with extraordinary stories to tell. 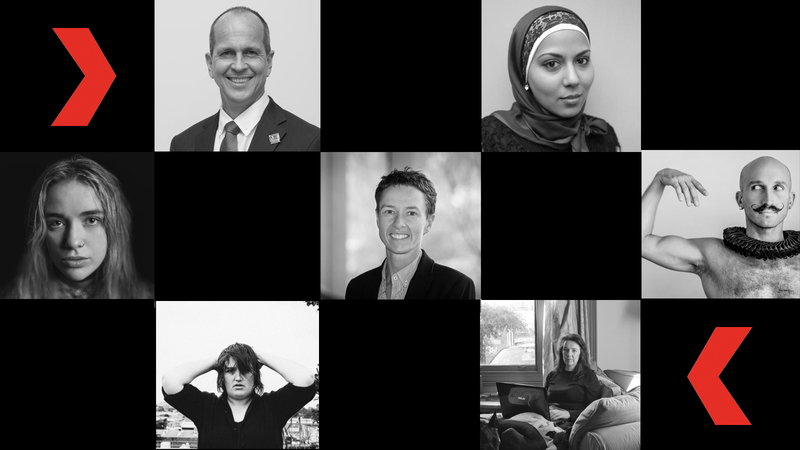 Our second announcement includes an award-winning foreign correspondent who became a global headline when he was falsely arrested for terrorism charges in Egypt; a fearless advocate who champions the rights of minority groups; a journalist who is changing the way media portrays men’s violence against women; and one of the world’s only female Deans of Engineering. We’ve also added three new performers to our lineup including one of the most talked about new artists in the Australian music industry. Read more about the speakers and performers below. Registrations for TEDxSydney 2017 are open now and places are filling up fast. Check out our event page for more details about the day and links to register. Peter is an award-winning foreign correspondent who spent 25 years working for the BBC, Reuters, CNN and Al Jazeera on the frontlines in some of the world’s most volatile places. Peter became a headline himself when he was arrested on terrorism charges in Cairo in 2013 while working for Al Jazeera. He managed to smuggle letters out of prison describing the arrest as an attack on media freedom. These letters helped launch a global campaign that eventually saw him released after more than 400 days in prison. His actions earned him awards from the Royal Television Society, the Walkley Foundation, the Australian Human Rights Commission and the International Association of Press Clubs. Jane is a freelance journalist with a strong focus on data journalism, feminism, and violence against women. She was the founding editor of The King’s Tribune and now writes regularly for the Sydney Morning Herald. Her work has been published by the Guardian, Meanjin, The Age, SBS, The Saturday Paper, The ABC, news.com.au, and Junkee, amongst many others. Jane is currently writing a book on the way media portray violent crimes committed by men against women, which is expected to be published next year. Recently named the Daily Life 2016 Woman of the Year, Mariam is a lawyer, diversity practitioner, advocate and social commentator. Proud of her Muslim refugee background and committed to championing the rights of minority groups, Mariam is an Ambassador for Welcome to Australia – which aims to provide a positive voice in the public conversation around asylum seekers, refugees, and multiculturalism. Mariam is used to being both an advocate against and a victim of Xenophobia – she made global headlines in 2015 and endured months of cyber-bullying for speaking out against bigotry. Cash Savage and The Last Drinks are becoming known around the world thanks to their signature brand of country, blues, gut-wrenching honesty, and a live show hailed among Australia’s best. With three studio albums and back-to-back European tours under their belt, Savage bring their heart-pumping show to the TEDxSydney stage. Expect growling lyrics supported by shredding guitar, hammering banjo and more. Andy is a performance maker primarily recognised for his unique brand of movement, which fuses dance, physical theatre and signed languages. He is fascinated by the way we communicate and interact as a species and creates work with the intention to connect and empower. As an ambassador for Deaf Australia, Andy is passionate about introducing people to Auslan – Australian Sign Language at the University of Sydney and Macquarie University. Airling (Hannah Shepherd) is fast becoming one of the most talked about young artists in the Australian music industry with her own unique twist on pop music. In 2014, she was crowned Triple J’s National Unearthed Splendour in the Grass Winner and has gone on to produce her debut album “Hard to Sleep, Easy to Dream” and grace the stage at festivals and venues such as Laneway, Falls Festival, The Opera House and The Forum.